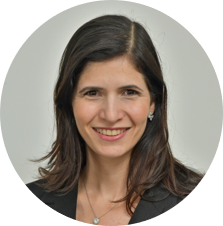 Maria Sinanis is a senior advisor and partner at Cambridge Advisors to Family Enterprise, a highly specialized international advisory firm serving family enterprises. She is a fellow at Cambridge Institute for Family Enterprise, a leading education and research institute dedicated to the significant issues family enterprises face. Both organizations are divisions of Cambridge Family Enterprise Group, a global organization founded in 1989, devoted to helping families achieve multigenerational success for their families, enterprises, and financial wealth. Since 2007, Ms. Sinanis has advised multigenerational family-owned enterprises of diverse sizes, generations and industries throughout North America, Latin America and Africa. She assesses the performance of family enterprise systems; advises on best practices; designs and implements governance structures for the family, owners and business; facilitates governance meetings and leads families through governance and process issues; guides next generation family members to prepare them for future roles; and addresses family relationship challenges. Her advisory work primarily focuses on next generation talent development and assisting cousin-owned, complex family enterprises with architecting and implementing tailored governance systems to keep the family and owners united and connected to the business and family office. In 2010, the Family Firm Institute—the preeminent association for family enterprise professionals—awarded Ms. Sinanis certification in Family Business Advising. Ms. Sinanis teaches and speaks to family business audiences at education programs and private family meetings. She teaches in the Preparing Owners of a Family Business program at the Cambridge Institute for Family Enterprise. She is a facilitator in the Future Family Enterprise: Sustaining Multigenerational Success program at the MIT Sloan School of Management, an innovative new program for multigenerational families to prepare themselves for the future. For several years, Ms. Sinanis served as a facilitator at Harvard Business School’s Families in Business program. She is co-author of two books on family business: Next Generation Success (Cambridge Institute for Family Enterprise, 2014) and the forthcoming book Understanding the Power of Ownership: A Guide to the Responsibilities and Rights of Family Enterprise Ownership (Cambridge Institute for Family Enterprise, to be published soon). She contributes to research pertaining to next generation development at the Cambridge Institute for Family Enterprise. Earlier in her career, Ms. Sinanis was a director of business development in her family’s second generation family business, a manufacturer and tier one and two supplier to the automotive and agriculture industry. She also worked as an advisor, with a focus in strategy implementation, for The Telos Group, a boutique consulting firm that provides advisory services to family and closely held companies. Ms. Sinanis earned her M.B.A. from Babson College in Massachusetts. She earned her B.A., with a double major in Education and Hispanic Language and Literature and a minor in Business, from Kalamazoo College in Michigan. She is certified to administer and interpret the Myers Briggs Type Indicator instrument. She is fluent in English, Greek and Spanish, and has a basic level of fluency in Portuguese.